Reasons to use Faus Laminate flooring for Modern Homes! When you decide to renovate the house, it is necessary to consider multiple facts for ensuring a modern decoration. The high-quality flooring is necessary for giving a lavish appeal to your residential place because after walls, the thing that is noticed is the floor. Besides the unique surface of the floor, the material is an important thing to know whether it will give long-term use or not. Well, Faus laminate flooring is something that can actually give a modern appeal to old-designed homes and when the quality of this material is analyzed, it never disappoints. Faus is not Expensive Material! If you think that Faus is an expensive material, you should simply check its prices online. So, all budget-conscious people who want a feasible flooring option should surely install Faus rather choosing expensive materials. 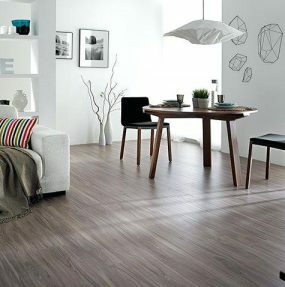 The simple laminate flooring is also not expensive to install however its use is not as per the standard. Blends well with Modern Designs! A lavish appeal can be ensured if you choose stuff for your home that can blend with the whole designing in a seamless way. The top-quality Faus laminate flooring is basically sold in multiple colours and textures that allow the households to choose right according to the theme of their residential place. Well, if you are planning to choose a completely traditional theme and want a unique type of traditional flooring, the same thing will blend with traditional designing too. Are you curious that whether the Faus is suitable for kitchens and bathrooms or not? Well, you should obviously choose a material for kitchens that can resist water effects and Faus efficiently does that. The extreme upper laminate layer doesn’t absorb water rather it stays on the surface and you can simply wipe it out with a mob or soft cloth. The water-resistant quality makes ‘faus’ one of the best selling materials and for all luxurious homes, it seems one of the amazing choices. The durability is another factor and it is necessary that when you choose laminate flooring, it gives long-term use. The Faus material basically gives a durable use and even after a long time, you won’t find scratches on the surface of this floor. However, it is also crucial that you use the floor in an effective way because rough use can obviously affect the quality of anything.